West 10th Dental provides comprehensive oral exams in NYC. Call 212-982-5883 to learn more and schedule your appointment. A comprehensive oral exam is a detailed examination of your entire mouth. We perform a comprehensive oral exam at your first appointment, as well as during each checkup. This helps us catch any issues early, before they become serious. Our comprehensive oral exam begins with a set of digital X-rays. We use CariVu imaging as an adjunct to full X-rays, which helps us detect decay with non-ionizing radiation. It can even be used in place of digital X-rays for pregnant women and other patients who are at high risk from radiation. Next, we will perform a complete head and neck examination to check for swollen lymph nodes or other signs of infection, followed by a soft tissue exam designed to detect oral cancer. We will then look at your teeth and any existing restorations. Finally, we will closely examine your gums. Healthy gums should be pink in color, and they should not show any signs of bleeding. We will also perform a periodontal probing. Using a small device, we will measure the depth of the pockets between your teeth and your gums. Those without gum disease will have pockets no deeper than 3 millimeters. This is the depth to which a toothbrush and dental floss can reach to remove plaque. If your gums are healthy and you have no other oral issues, you will be scheduled for a cleaning. If you have pockets between 3 millimeters and 4 millimeters in depth, you have gingivitis. This is the mildest form of gum disease, and it is characterized by inflammation and bleeding. If you have pockets more than 5 millimeters deep, with bone loss you have periodontitis. This is a serious condition that could lead to tooth loss. Either way, we will schedule you for scaling and root planing, a nonsurgical periodontal therapy to combat periodontal disease. At the end of your comprehensive exam, we will discuss all of our findings with you. If you have any oral health issues, we will explain your treatment options along with their costs, and help you decide which solution is right for you. If you have dental insurance, we will submit a pre-estimate for authorization so that you will know your exact out of pocket costs before we begin work. A comprehensive oral exam is the best way to catch any oral health issues at their earliest stages, when they are the easiest and least expensive to treat. 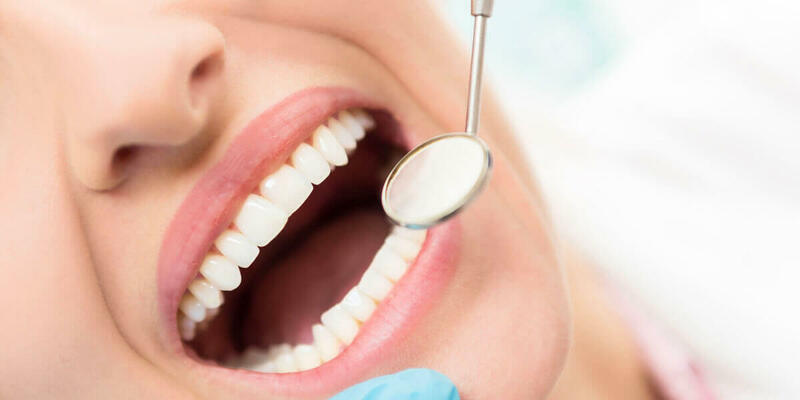 If you have healthy teeth and gums, having a comprehensive oral exam and then a periodic exam every six months is the best way to ensure that your smile will last a lifetime. Call 212-982-5883 to schedule your appointment.